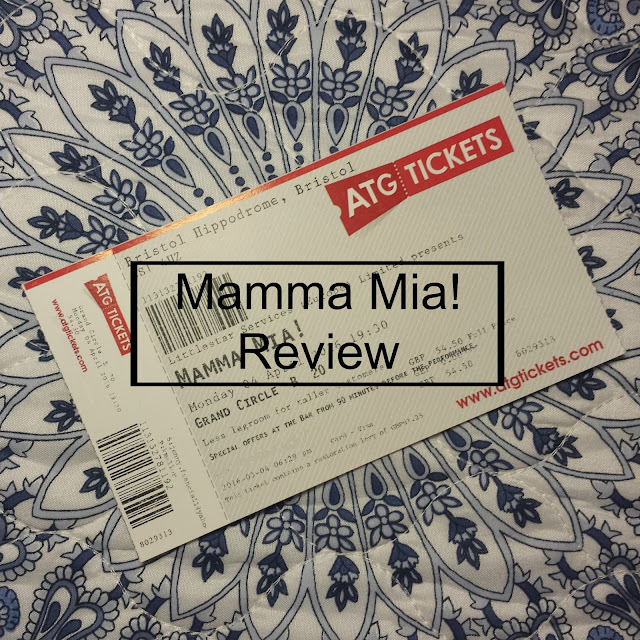 I received tickets to go and watch this musical from my parents for Christmas, as I am a massive fan of musicals and Mamma Mia! Needless to say (and anyone who follows me on Twitter will know) that I've been looking forward to this performance for months. I feel that watching a film is very different to a stage show. I was concerned that the production of Mamma Mia! was not going to be as good as the film. I didn't need to worry as the cast were so funny, bubbly and you could tell that they were having the time of their lives, oooooooh, see that girl. My favourite scenes were "Does Your Mother Know" and "Lay All Your Love On Me" as the choreography and humor that was crammed into these scenes was incredible.These scenes are both set on the beach in the film, and I was wandering how they would go about putting them on the stage, but they managed to work their way around it and it was absolutely amazing. They wildly exceeded my expectations. Both my mum and I only being 5ft 5" tall we opted to sit in the restricted leg rooms seat of the grand circle, so that we could have a good view, and we had such an amazing view. Although if you're any taller than 5ft 5" then I would recommend sitting in an ordinary seat as when they said less leg room, they really meant it! Overall it was an amazing performance which you couldn't help but sing and dance along to. It was so so funny and very cleverly written! I would give the performance a 10/10 rating and I would definitely go an watch it again if I have the chance! The show is only running in Bristol until the 7th May, so you'll need to get your tickets fast if you want to go! Have you seen Mamma Mia? What was the last theater production you watched? Let me know in the comments. I've watched mamma mia in the theatre and I thought it was so good! Also the film is still my favourite film ever! Great post!